Our mates at Denizen Magazine in NZ know what's up when it comes to cocktails and they've come up with a pearler: a spicy citrus kombucha margarita. Oh yeah! "A markedly healthy alternative to high-sugar mixers, using kombucha to compose your favourite cocktail will result in a drink that is as bubbly and refreshing as its conventional counterparts while being inherently better for you. In light of this, we decided to outline one of our favourite cocktails to make with kombucha. 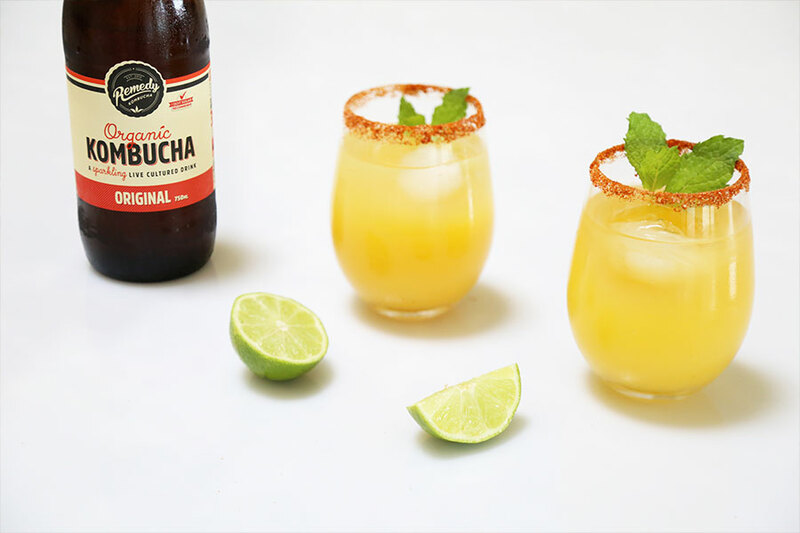 The Citrus Kombucha Margarita combines lime, chilli and tequila with Remedy Kombucha’s Original brew to become something perfectly suited to sipping in the sun. Meet the new drink of the season." Get the full recipe on Denizen here.